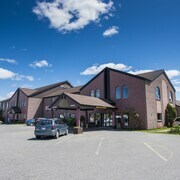 Situated in Amos, this hotel is 2.9 mi (4.7 km) from Refuge Pageau and within 9 mi (15 km) of Farm Church and Lake Beauchamp. Situated in Amos, this hotel is within 9 mi (15 km) of Refuge Pageau, Farm Church, and Lake Beauchamp. Situated in La Sarre, this motel is within a 15-minute walk of La Sarre Arena and Saint Andre Church. Beattie Golf Club is 1.3 mi (2.1 km) away. Staff was excellent. Accommodated us with an early check in. Restaurant was amazing. Only negative comment is their electrical set up. Not enough outlets so the fridge and heater were plugged in with ungrounded extension cords. 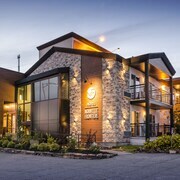 Where to find Rouyn-Noranda hotels near an airport? Where can I find hotels in Rouyn-Noranda that are near tourist attractions? Take a break from the ordinary in Rouyn-Noranda, QC. This beautiful city on Osisko Lake rose to glory following the discovery of copper in the area in 1917. The city’s beautiful layout and artistic population create amazing opportunities for fun and relaxation for visitors. Don’t plan a getaway to Quebec without putting the National Copper Capital on your sightseeing map. The travel experts here at Expedia.ca can connect you with amazing discounts on overnight accommodations. Stay right here for access to exclusive travel deals. Are you looking for a place where you can unplug from work and enjoy spas, pubs, and theatres? You’ve found the perfect place for your next holiday. Life in Rouyn-Noranda manages to feel charming, elegant, and simple all at the same time. This cozy city packs a big punch when it comes to culture. The city has hosted the Cinema Festival of Abitibi-Témiscamingue since 1982. You’ll run into a mix of filmmakers, families, and spirited travellers at Rouyn-Noranda hotels. Rouyn-Noranda enjoys the beauty of spring, summer, winter, and fall. Summers are delightfully warm and humid. Winters are made magical by fluffy snow and still nights. Spring and fall are transitional and mild. Whether you’re planning on checking into a Rouyn-Noranda hotel for a few nights while travelling on a ski holiday or you’re looking for a place to enjoy a proper summer vacation, you’ll fall in love with this city. Bike paths, parks, and sporting fields keep things lively in Rouyn-Noranda. Visit the city’s first general store and post office at Dumulon House. Explore where many of the city’s early immigrants worshiped during a tour of Saint George Russian Orthodox Church. Discover the city’s rich mining history at the Horne Smelter. Unwind by taking in a show at Copper Theatre. Are you getting excited to share this great city with your family? Stick around for exclusive offers at top hotels near fun attractions. 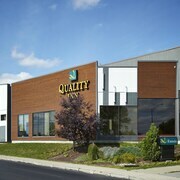 How would you like to fly to Rouyn-Noranda and stay at a gorgeous hotel for one low price? The travel experts at Expedia.ca have created some amazing all-inclusive packages to help you save money without sacrificing comfort or fun. What’s more, we’ll help you get around the city easily with cheap rental cars in Rouyn-Noranda. Let our travel experts answer all your questions before, during, or after your trip. Plan a vacation to remember with fabulous deals from Expedia.ca today. 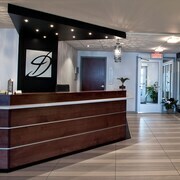 What are the most popular Rouyn-Noranda hotels? 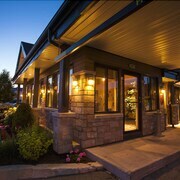 Are there hotels in other cities near Rouyn-Noranda? 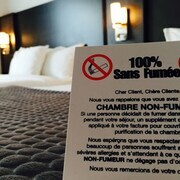 What other types of accommodations are available in Rouyn-Noranda? Explore Rouyn-Noranda with Expedia.ca’s Travel Guides to find the best flights, cars, holiday packages and more!